Eight-time Golden Globes winner Meryl Streep will add one more award at this year’s Globes: the Cecil B. DeMille Award. The Hollywood Foreign Press Association announced that Streep will receive its prestigious honor for her outstanding contributions to the world of entertainment. The 67-year-old actress has been a mainstay at the ceremony. She’s been nominated 29 times, and her first Golden Globe came for Kramer vs. Kramer in 1979. Streep (right) is also in the running this year for her performance in Stephen Frears’ Florence Foster Jenkins in the Best Actress in a Comedy or Musical category. The 64-year-old tribute was given last year to Denzel Washington. Other recent honorees include Martin Scorsese, George Clooney, Jodie Foster, and Morgan Freeman. The 74th Annual Golden Globes will air live on NBC on January 8th, with Jimmy Fallon hosting. Nominations will be announced December 12th. Tammy Grimes (left) was an actress and singer. She won two Tony Awards in her career, the first for the musical The Unsinkable Molly Brown. It was later adapted to the screen and starred Debbie Reynolds, who was nominated for an Oscar for the role. Grimes won her second accolade for starring in a 1970 revival of Private Lives. She also originated Diana in the Broadway production of California Suite. It was played in the film by Maggie Smith, who won an Oscar for her performance. 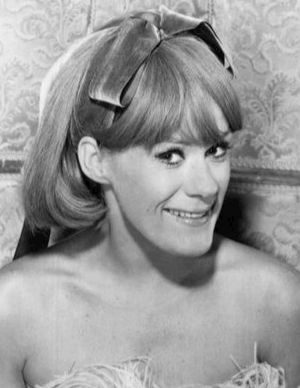 In 1966, she starred in her own television series, The Tammy Grimes Show. Grimes was divorced from Academy Award-winning actor Christopher Plummer. Their daughter is actress Amanda Plummer. In 2003, Tammy was inducted into the American Theater Hall of Fame. This entry was posted on Thursday, November 3rd, 2016 at 10:48 pm	and is filed under Blog by Manny Pacheco. You can follow any comments to this post through the RSS 2.0 feed. Responses are currently closed, but you can trackback from your own site.